Around 3.5 million Britons headed overseas taking advantage of the long break provided by the back-to-back bank holiday weekends, according to Abta. Thanks to the Easter weekend and the extended royal wedding holiday period, more people packed their bags, took out travel insurance policies and went abroad than during the same period last year. 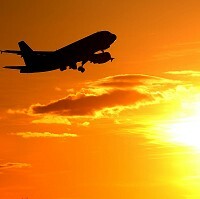 Spain, Florida and Dubai were among the favourite destinations for holidaymakers, the travel industry group said. For people who chose to stay home, as well as visitors to the UK, the bright, sunny weather came as an added bonus. Temperatures in parts of the country were higher than in the Mediterranean and people were able to enjoy fine weather throughout the holiday period. An Abta spokesman said: "Many people made use of the bank holidays. The long holiday and the royal wedding have been a really good boost for people coming into the UK and for British people going abroad."